We’ve featured them before, but now we introduce Dr Bronner’s Fresh-Pressed Virgin Coconut Oil. Certified organic and cold-pressed from fresh, carefully dried coconuts, Dr Bronner’s Fresh-Pressed Virgin Coconut Oil is versatile and healthful, with a delicious aroma. This month we’re featuring Organic Virgin White Kernel (14 oz.) and Whole Kernel (14 oz. and 30 oz.). Dr Bronner’s Organic Virgin Coconut Oils are perfect for medium-high heat cooking, use them in recipes that call for stir-frying, braising and baking. Dr. Bronner’s Coconut Oils are also loved for body care uses, whether moisturizing hair and skin, or oil pulling for oral health! Melt 1 1/2 to 2 tablespoons coconut oil in a large oven-safe skillet. Add julienne sweet potatoes to skillet, sprinkle with coarse sea salt, freshly ground pepper and a pinch of cinnamon or paprika. Toss to coat potatoes. Place skillet in a 375°F preheated oven. Bake for about 30 minutes; turning once halfway through cooking time. Enjoy! Need more recipe ideas? Visit Erin Bronner’s Kitchen blog. 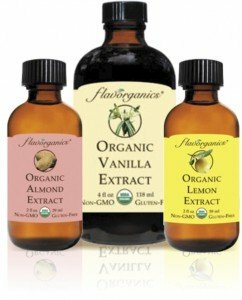 This month, we’re featuring products from Flavorganics Organic Extracts, a company that has been specializing in pure flavour for over 30 years, using modern, innovative techniques and the highest quality ingredients so you can crank up the cooking and baking experience another notch! Flavorganics has been a leading worldwide producer of vanilla products for the premium ice-cream makers and bakeries and supplies basics for the fragrance and flavour industry and now you can bring artisanal flavouring to your kitchen! Try Flavorganics Organic Almond, Lemon and Vanilla extracts. Many of us obsess about chocolate, the world’s most popular candy and, while milk chocolate used to rule, now dark chocolate accounts for 35% of adult sales. And what a pleasant surprise to find Pascha’s Organic Passionately Pure Dark Chocolate! It’s allergen-free, which means no gluten or wheat; no nuts, dairy, eggs or soy. 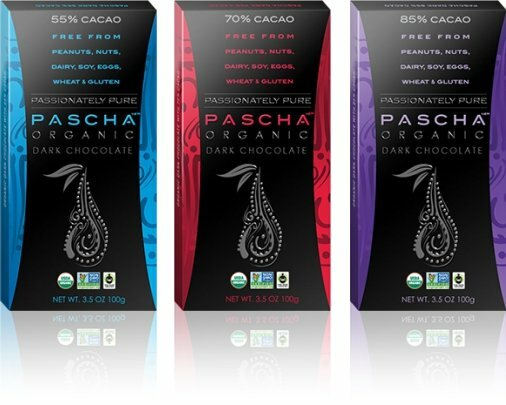 We’re featuring Pascha Organic Dark Chocolate bars at 55, 70 and 85% cacao. When you taste this exquisite chocolate, you’ll know that Pasha is truly passionate about their mission. From mild to intense flavour, Pascha chocolate is made with choice aroma cocoa beans from Peru, then blended with organic cane sugar and vanilla bean to create a smooth, rich, well-balanced cocoa flavour. Pascha’s chocolate collection is USDA Organic Certified, Fair Trade Certified, NON-GMO Project Verified, Kosher and Vegan. Start with 3 coarsely chopped PASCHA Dark chocolate bars. Melt in double boiler or in microwave at 50% power at 30 second increments; stirring in between. Remember don’t overcook your chocolate. Pour the melted chocolate slowly into tree mold. Place cookies on top and gently press in. Tap mold gently on counter top surface to release any air bubbles and to level out the chocolate. Put the filled mold into the freezer (on a flat surface) for about 10-15 minutes until completely set/hardened. After removing from freezer, turn the mold upside down and gently tap it on counter top. The candy should drop right out. Pipe on garland, if desired, or add edible decorations. 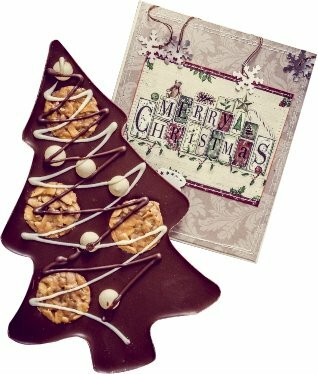 Show your masterpiece off to family and friends, or package in cellophane treat bags for gift-giving. Enjoy! * Make sure cookies, nonpareil, icing, or other decorations don’t contain allergens you, or recipients, may be sensitive to. NOTE: Use an EXTRA LARGE TREE MOLD – 8½” x 7″ (22cm x 18cm) and just over approx. ½” (15mm) deep. Each of the chocolate trees will weigh approx. 300g. Most of us take the humble apple for granted, but did you know that the apple is a member of the rose family? Or that the apple is considered a super food because of the diversity of beneficial, natural phytochemicals they contain? The R.W. Knudsen family has been producing pure fruit juices, with no artificial flavours or preservatives for over 55 years. This month we’re featuring delicious, refreshing R.W. 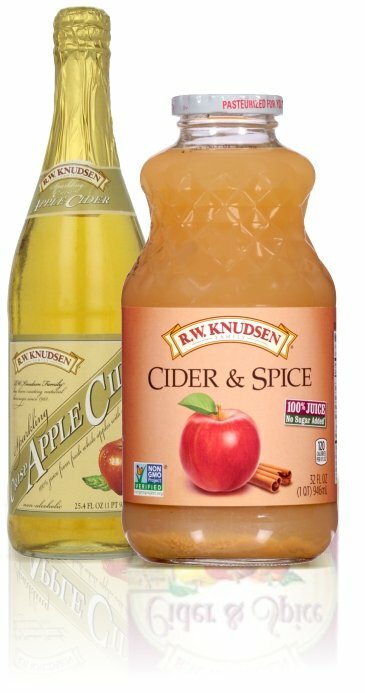 Knudsen Sparkling Apple Juice and Organic Apple Cider; perfect alcohol-free celebratory beverages for the Christmas season! Ginger root, jalapeno, onion, and R.W. 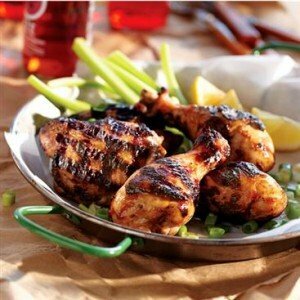 Knudsen Family® Cider & Spice Juice come together for a flavourful, spicy dish. 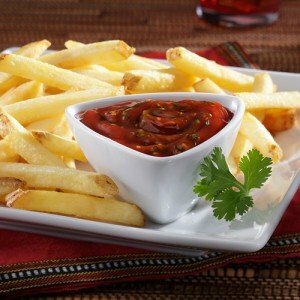 Ever tried to make French fries at home? You can get surprisingly good results, if you laboriously cook them twice, use a lot of dangerously hot oil, and then carefully drain them. Enter Alexia Oven Fries. These are frozen fries with a difference! Seasoned with olive oil and sea salt, these organic russet fries go straight from the freezer to the oven to the plate: quick, and delicious! Safer, too! We’re featuring Rosemary-Olive Oil and Parmesan-Garlic Wedges; and Julienne and Crinkle Cut Oven Fries. Speed up clean-up time by sticking to a one-pan meal. 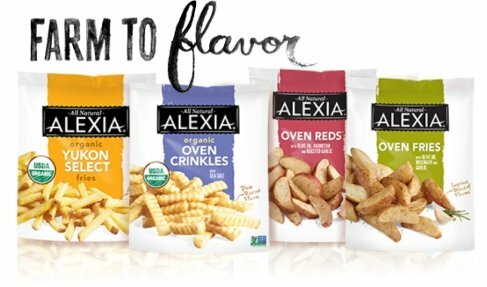 Simply pour a bag of Alexia Oven Fries right into a large roasting pan with a chicken or a roast. The Alexia potatoes will absorb the meaty flavor and cook in no time. Stir together all ingredients. Chill at least 1 hour before serving. Here’s another amazingly innovative food producer: One Degree Organic Foods, whose quest for superior nutrition is part of a larger plan to improve and preserve the environment and the people living in it. 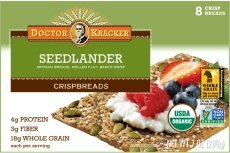 We’re featuring One Degree Organic Sprouted Flour, a revolutionary product that takes the food value to a higher level. The folks at One Degree believe that food shouldn’t be a calculus of chemicals, but simply a matter of honest cultivation. We’re featuring One Degree Organic Whole Wheat, Spelt, Rye and Khorasan Sprouted Flours. Heart healthy grains rich in fiber and antioxidants. By keeping the bran and germ of the plant, whole grains retain the vital nutrients nature intended. Grown veganically, without chemicals, or animal-based fertilizers of any kind. 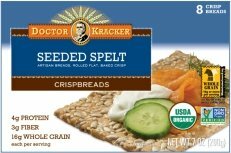 Make bread, cookies, and some new friends with sprouted flour made from this heart healthy grain. Sprouting boosts key vitamins and minerals, and aids in digestion. Here’s a food company that’s obviously proud of their products: So Delicious! So Delicious Dairy Free has been bringing joy into dairy free lives for over a quarter-century. These treats are made with organic and other, natural ingredients of the highest quality. So Delicious is among the leaders in allergen-testing and their quality-control profile assures the absence of artificial sweeteners, trans-fats or hydrogenated oils. 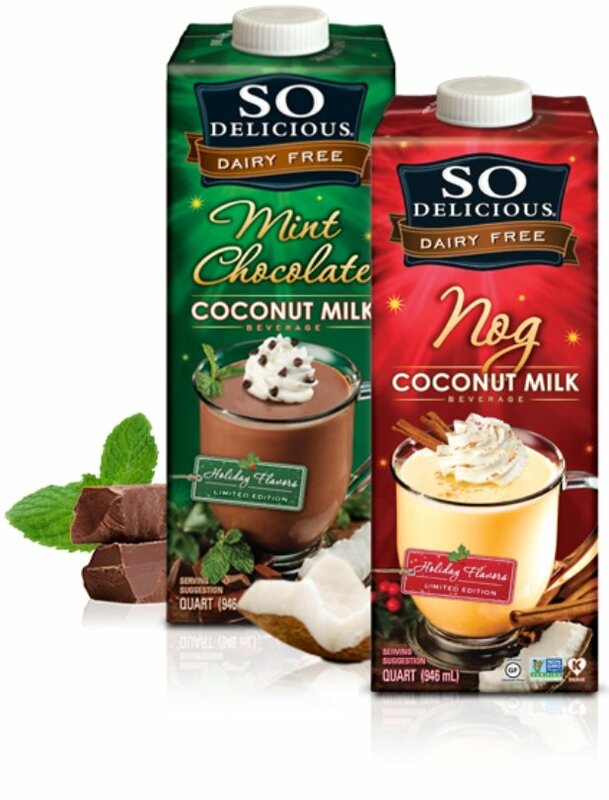 This month, we’re featuring two delicious flavours of So Delicious Coconut Milk: Organic Mint Chocolate and Nog. John Barritt and Son, Bermuda’s foremost beverage producer is bringing on the joyful festivities this Christmas with Barritt’s Bermuda Stone Ginger Beer. We’ve extolled the virtues of this traditional Bermudian drink before; it’s refreshing and spicy and wonderful in the kitchen. 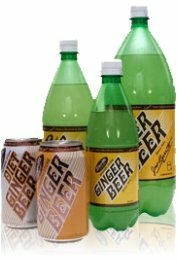 Google “Cooking with Ginger Beer” and you’ll be amazed by the diversity and “wow” factor of the recipes! 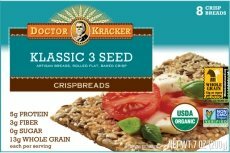 Doctor Kracker are all about the flavourful goodness of organically grown whole grains and whole seeds, delivering to you an abundance of plant-based protein, heart healthy fiber and essential micronutrients. All this in a hearty cracker that can be enjoyed alone or paired with almost anything. These are artisan crackers with a rich toasty flavour, perfect for decorating with your favourite cheese, nut butter, pate, smoked salmon… the sky’s the limit! 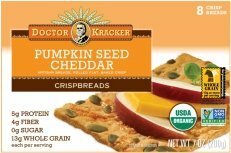 This month we’re featuring Doctor Kracker Organic Seeded Spelt, Klassic 3 Seed, Pumpkin Seed Cheddar and Seedlander Crispbreads. There’s a timely feature on our shelves, just in time for Christmas: Pacific Natural Foods Turkey Gravy, Pumpkin Puree, Cranberry Sauce, Vegetable and Chicken Broth and Vegan Mushroom Gravy. Pacific Natural Foods started out 25 years ago making better-tasting and more healthful foods the right way, not the easiest way, paying close attention to preserving the environment and serving you. Pacific Natural Foods says, ” We can’t change the world overnight. But every day, even the smallest changes are making a world of difference”. Now THAT’S special! Organic Turkey Gravy – A classic recipe blends the flavors of roasted turkey with just the right amount of savory spices to create a gravy that will make any meal feel like a special occasion. It’s perfect served over buttery mashed potatoes, delicious side dishes, or added to any favorite recipe. Organic Pumpkin Puree – Ready to use with your classic recipes from baked desserts to savory sides, our rich puree will make any recipe feel like a special occasion. The smooth and delicious texture is perfect for a variety of recipes including pies, muffins, cookies, soups and even mixed in with your favorite side dishes. Organic Whole Berry Cranberry Sauce – Bursting with delicious tart flavors, Pacific Organic Whole Berry Cranberry Sauce is ready to use with your classic recipes or served as a side dish to enhance your favorite dishes. No preservatives, just pure, wholesome, organic whole cranberries. PHOTO: © PACIFIC NATURAL FOODS. Visit Pacific Food’s website for delicious recipes for the holidays and year round. Organic Low Sodium Vegetable Broth – Bursting with Flavor: Nature’s bounty is captured in this rich, organic vegetable broth that’s a perfect start to so many dishes. Simmered savory leeks, onions and garlic, carrots and celery and vine-ripened tomatoes for garden fresh flavor. 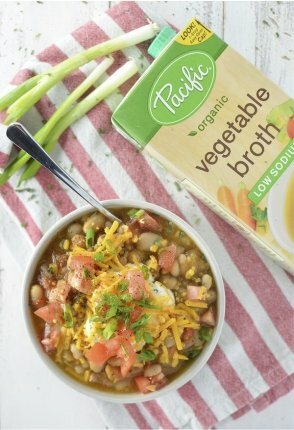 Get Creative in the Kitchen: Add a dash of extra flavor to your favorite soups; Use as a delicious broth for fondue; Substitute in place of water for more flavorful rice or pasta; Reheat leftovers by adding a little broth for an instant refresh. Vegan Mushroom Gravy – As delicious as it is versatile, Pacific’s Organic Vegan Mushroom Gravy recipe blends simple ingredients like fresh mushrooms, carrots, celery, onions, and a hint of sea salt to create gravy that will make any meal feel like a special occasion. Serve it over vegetables and mashed potatoes, grilled or sautéed tofu, vegetable burgers and loaves. Use gravy to thicken and add flavor to stews and casseroles. Use as a sauce over pasta, rice or polenta. Certified to the Source™. Pacific Natural Foods’ exclusive Certified to the Source® program tracks and ensures that every natural and organic ingredient in every product Pacific Natural Foods makes is of the highest quality and only from a guaranteed source.